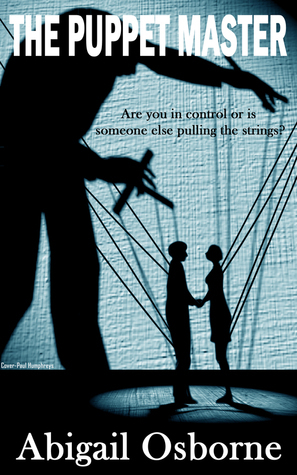 Manipulated by fear and love...could you cut the strings and take back control? Billie’s hiding from the world, believing it to be the only way to take control of her life as she lives in fear of the man who nearly destroyed her. A chance meeting with budding journalist Adam sparks a relationship that could free her from the terror that controls her. But will Adam be able to see the real Billie buried under her terror and pain? Can Billie and Adam survive the betrayals in store and cut the strings that bind them? One thing is for sure. The master wants his puppets back – and he’ll do anything to keep them. Abigail Osborne is a name many of us will know or recognise from her successful blog manybooksmanylives which you can follow on Facebook @abigailosborneauthor or via Twitter @Abigail_Author . 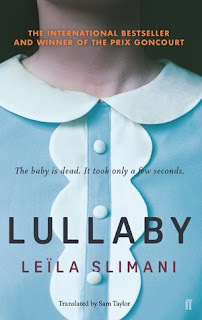 I'm always interested in reading novels penned by book bloggers as I'll already have a flavour of their writing style and know they are avid readers- not that this immediately equates to a bestselling debut, but it must help!! I'm always curious about what sort of story they might write as well as being keen to support someone from the book blogging community. So I was thrilled to receive a copy of "The Puppet Master" from Abbie and although it has taken me *cough* months to get around to it -completely due to my mismanagement of my TBR pile- I was really pleased that I eventually got to read her debut novel. And can I just say - love the cover!! We begin with Billie's narrative. We are introduced to a girl who seems reclusive, shy, afraid and cautious; to someone who has been deeply hurt. Osborne wastes no time at all sowing the seeds of suspense with lots of references to a dark secret and a hidden past. Her dislike and distrust of people seems too resolute and too harsh for a young woman and the reader wants to know what exactly has happened to Billie to make her think that no one is ever as they seem. "Billie knew that appearances were deceiving. Nearly everyone wore a mask. No one was themselves any more. Too afraid to be judged. Everyone had to fit in with what was 'normal'...........She went back to watching the people around her. She could live through their lives. People watching was much safer than making actual connections." Billie seems firm in her decision to cut herself off from everyone and that the only way to keep herself safe is to avoid any interaction and any kind of relationship with people. I liked the way Osborne made it ambiguous as to whether this resolve was due to something that Billie had done to others or something that had been done to her. But then, as Billie sits in the cafe- in her usual spot, in her usual isolation -in walks Adam. He comes and sits opposite her. He starts a conversation. And suddenly Billie feels something new..... She feels herself relax a little, she feels that she could respond to his questions and conversation starters. She wants to trust him. She wants to get to know him. She wants to give herself another chance at happiness. Then the story switches to Adam and we see the same events but from Adam's perspective. I thought this was really captivating and really hooked me in to the novel. It's a bit like the TV miniseries "The Affair". It's a really effective technique and Osborne uses it to maximise the intrigue and compound the reader's questions about what has happened to both Billie and Adam. What I particularly liked was that it was really unclear who was the victim, who was the villain, who we could trust, who was telling the truth, who was acting and who was genuine. Osborne pulls our strings with the same control that the puppet master pulls the strings of the characters, cleverly keeping us wondering and asking questions as we read on and try to piece together the real truth. They continue to meet. Despite their constant mantra that they should not let themselves be fooled, they seem to be becoming fond of each other and recognising things in their characters that they didn't think could exist. There is a sense that Billie and Adam feel compromised and Osborne keeps dropping enough clues and hints that show us both stand to lose something if they let their mask slip or make themselves emotionally vulnerable. "He would not be swayed .....he knew that under the air of fragility and loneliness that she exuded was a girl who could an already had destroyed lives." As the novel carries on, it becomes clear Adam has a hidden agenda; he talks of his plan, he talks of his revenge and he keeps alluding to some terrible things he believes Billie to have done. "Taking a deep breath he turned his charm dial up to a maximum.....he was going to get her story.......he just had to get her to trust him enough to tell it." "She had caused untold damage and yet here she was sitting in a cafe, with none of the repercussions her victims had to suffer." I liked this dual narrative. I liked that we saw things from one character and then the other and that both protagonists seemed innocent and then guilty. Osborne manages an ambitious storyline well. She has a clear timeline and we move between characters, days and years with fluency and continuity -and without confusion. And there's a very creepy third voice - anonymous and malevolent! This adds yet another layer of mystery, intrigue and questions to confound the reader a little further. Particularly at the end! Osborne couldn't not let her novel have some conversations about reading and books! These bits made me smile, although it was the only part of the book that did - Osborne's story is one that bravely tackles an upsetting, taboo subject and contains some disturbing scenes. It is gripping and there is a dramatic denouement. All in all I think Osborne has written a very good debut. I think it's impressive to have controlled a complex storyline with two very intense and complex characters that both have a lot of emotional baggage. I would recommend this book and would recommend you check out Abbie's blog on Facebook and Twitter too. She has a very lovely looking website at http://abigailosborneauthor.com which is worth a perusal too! Thanks again Abbie for the copy of your book in return for a review!